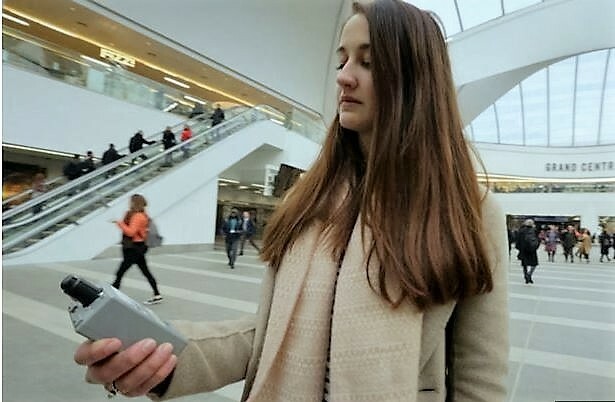 There is concern about the levels of diesel-generated air-pollution on Grand Central (New Street) platforms experienced by travellers like Professor Rex Harris (Birmingham) whose work includes the promotion of a hydrogen fuelled transport system for rail and waterways. Research conducted by Professor John Thorne (Birmingham) found almost seven times the annual average EU limit of particulate matter on one platform. In the Rail Engineer, Malcolm Dobell wrote about a hydrogen fuel cell locomotive he saw four years ago; a team from Birmingham University had designed, constructed and entered a fuel cell powered one-fifth scale locomotive in the Institution of Mechanical Engineers’ Railway challenge. 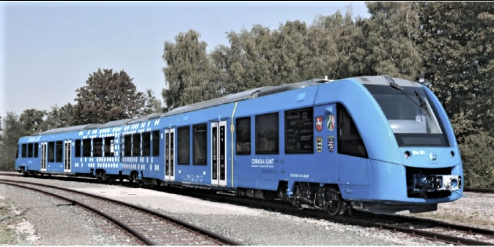 He reported that Alstom’s new train, the Coradia iLint (above), which runs on hydrogen power rather than diesel, has had its first successful test run. It is the first low floor passenger train in the world to be powered by a hydrogen fuel cell. The hydrogen used for the test runs is the by-product of an industrial process, which is reasonably reused as a waste product, but because Germany has invested heavily in wind turbine technology as part of its energy mix, it will also be able to use the energy generated by the wind turbines to make hydrogen when electricity demand is low. As Dobell mentioned, the Birmingham Centre for Fuel Cell and Hydrogen Research undertook a cross-disciplinary venture with a number of Birmingham Energy Institute academics and Birmingham Centre for Railway Research and Education, to design and construct the UK’s first practical hydrogen-powered locomotive. The Centre’s website adds that there will be a requirement for such autonomously powered trains to serve non-electrified lines. Hydrogen-powered locomotives, cars and boats, emitting only steam and condensed water, Dobell comments, are better for the environment, more pleasant for passengers and less disruptive to communities.